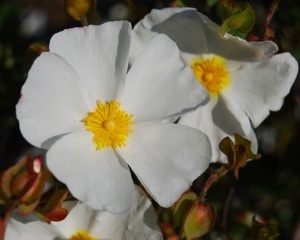 One of the hardiest hybrid Sun Roses, with lovely crimson flower buds, opening pure white. An excellent choice for a sunny spot. Like most cistus will not tolerate hard pruning.